Has anyone here got a Mivv Speed Edge? 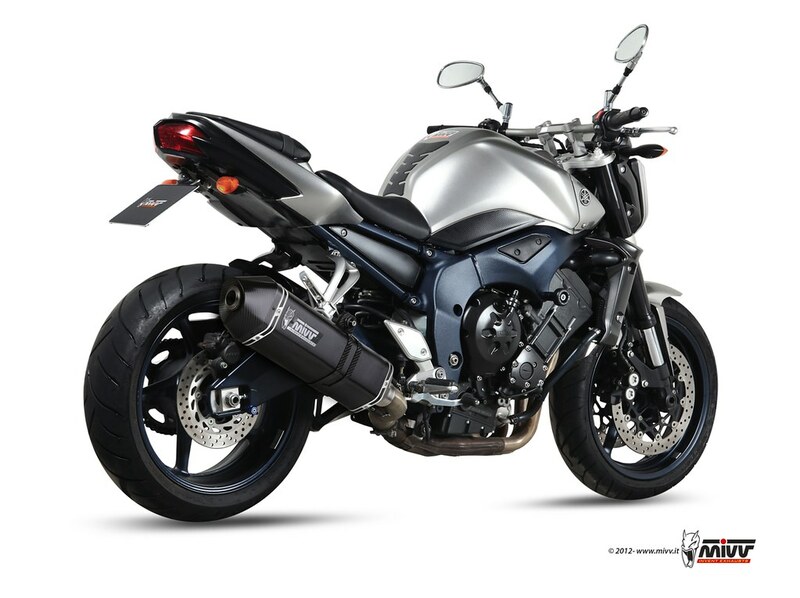 It looks a bit like an Akrapovic. 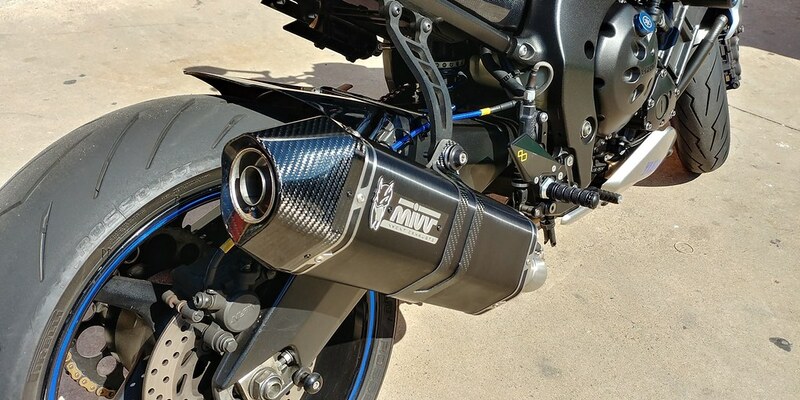 The mid pipe on this doesn't have the two resonator chambers like the Suono and GP. I'm keen on a Steel Black one and would like some opinions on its sound, especially without the dB killer. Is it as loud as a Suono or more bearable? Last edited by ballmead; 07-25-2017 at 06:13 AM. By sheer size I'd say its quieter. I emailed Mivv and they didn't have any hard data but said that it was quieter than the Suono. I'm digging it's looks so I might give one a try soon. Let me know how you like it. Suono is starting to attract too much attention. Either that or I gotta stay out of the throttle........like thats ever gonna happen. I know what you mean, the Suono is quite loud without the dB killer. I'm hoping the Speed Edge is bearable without the dB killer. Apparently it's designed to be one of their quieter models, we'll see. I'm just waiting for at least a 10% off EBay offer before pulling the trigger. Hopefully I'll get one soon. 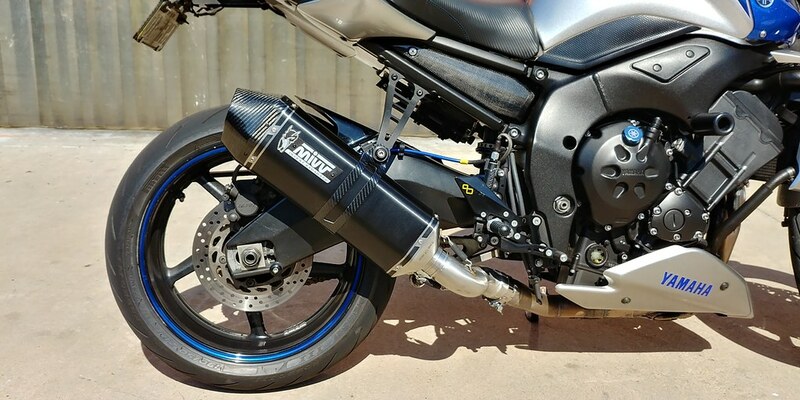 That exhaust probably has the backpressure necessary to do the job without them................Suono is more or less 2 inch straight through. Ok, so I pulled the trigger on a Black Steel Speed Edge slip-on. It should mate up nicely with my Arrow headers. It was a great price delivered to Oz. $531 delivered, once VAT was taken off and I got a surprise shipping discount once I paid with PayPal. Once I get it, I'll post some pics and a report. It might be a little while as they are on holidays until the 27th August. Last edited by ballmead; 08-03-2017 at 05:02 PM. No worries, I'll post a Youtube video once I get it. They all minimize the exhaust size by a lot and have that deeper growl. Don't forget the Mivv Suono if you want loud and deep. 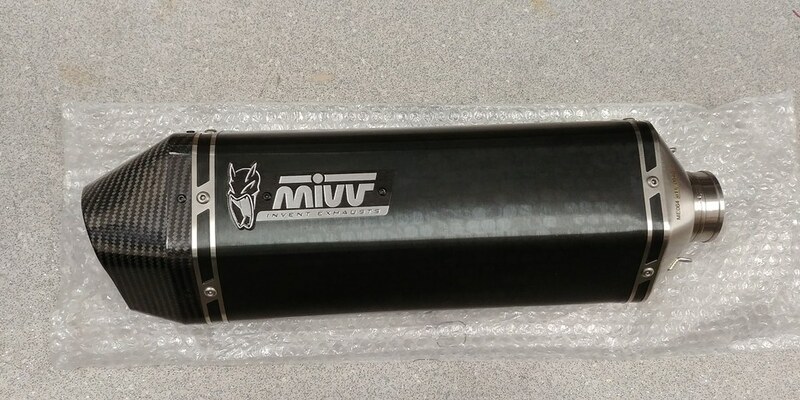 The Mivv Speed Edge was shipped today so I should have it fairly soon. Will post pics once I get it. It finally arrived. I reckon it looks pretty sweet. I'll fit it up tomorrow and go for a test run. 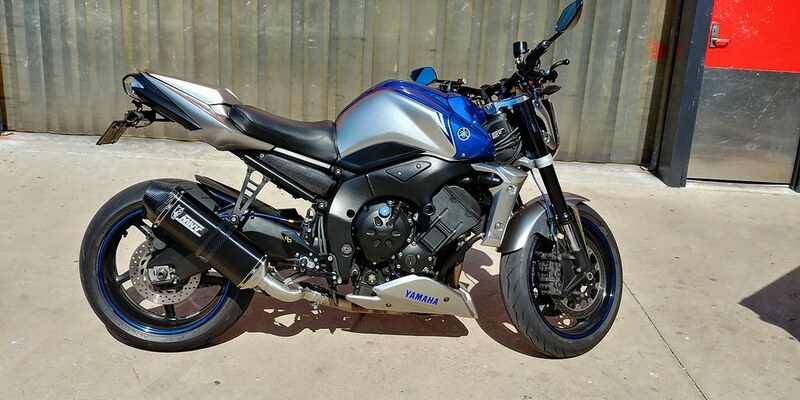 It's very deep sounding, even with the db killer installed and my bike feels smoother too.